Looking north along South parade showing Heights of Abraham woods and hill. 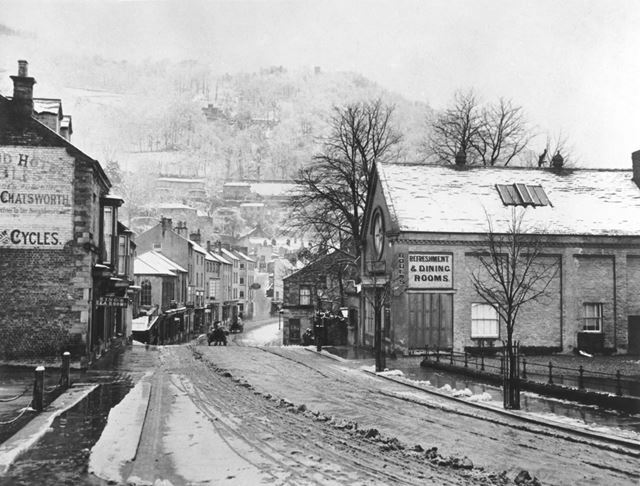 Bodens refreshment rooms, on the right, can also be seen in DCHQ000051. This has been demolished and stood on the current site of the car-park next to the fish-pond. All of the buildings on the left have remained unaltered.